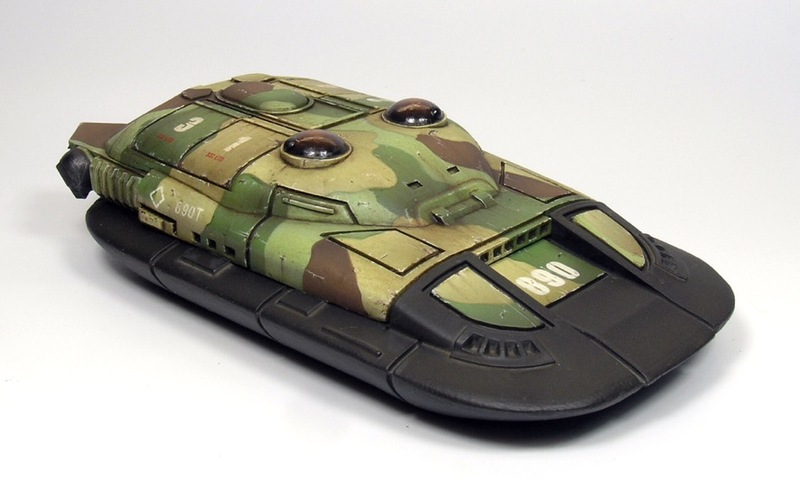 We are very pleased to release our latest 28mm sci fi vehicle, the Scythian SPA/Mechkiller. 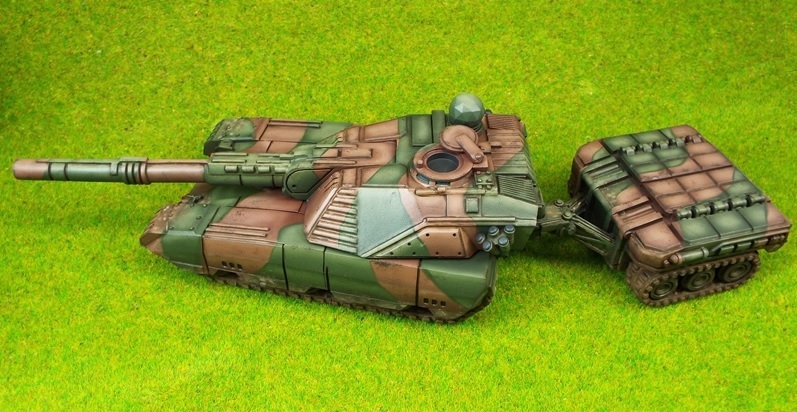 This is a light/medium tank hull with a special turret mounting a huge plasma cannon which can fire a plasma capsule indirectly, as fire support, or may be used in the direct fire mode with devastating effect against even the largest targets, especially mechs. The plasma cannon can be boosted in power if the vehicle is towing an aux power trailer. I gotta ask. 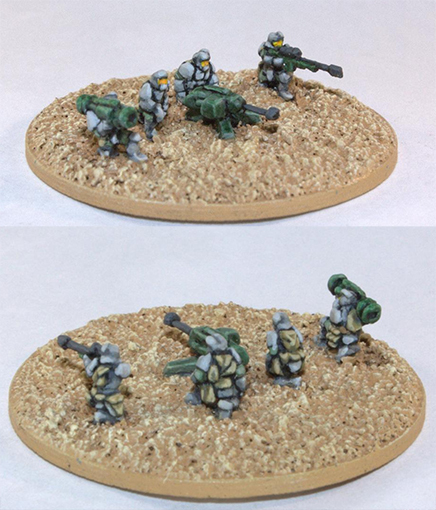 Why no pictures with Infantry to give scale? Please note our store is currently down as we do some urgent home repair but hope to be back up in a week or two. 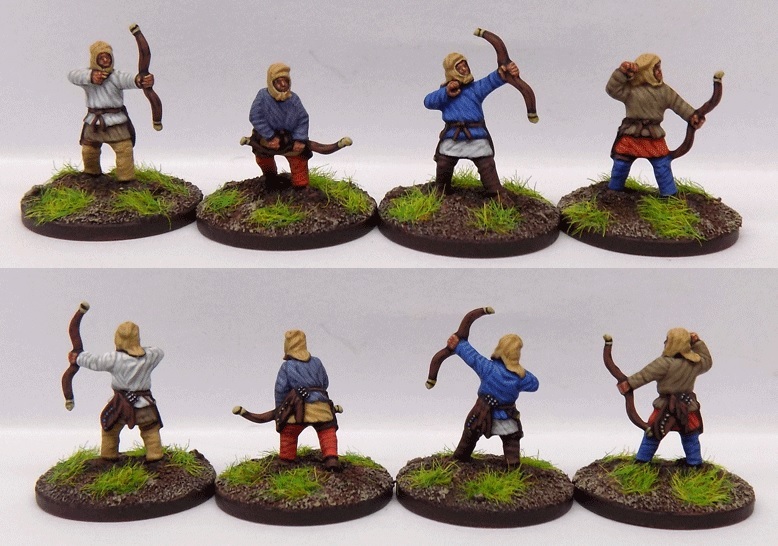 We have released the first codes for our 15mm Parthian Empire ranges -- early Parthians, and foot archers for the Parthians or their client states (which are also suitable for Seleucid eastern levy archers). These are for the earlier part of Parthian history, when they had established themselves in the old satrapy and were at war with the Seleucids and, later, the Republican Romans. 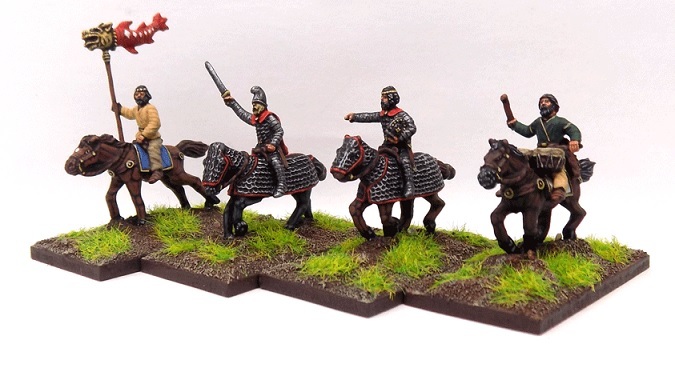 The Iranian Revival in Parthia was not yet in full swing, and chainmail was not yet in use, so these may look a bit different than you're accustomed to, but this was the fighting force that put the scare into the Seleucid army so that they adopted their own cataphracts. 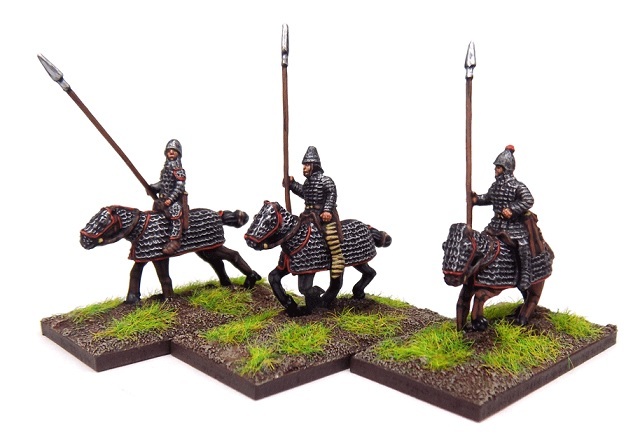 There's some controversy as to whether Parthian cataphracts carried archery equipment, so we have provided a separate gorytos bowcase/quiver with them and the command set so you can decide for yourself whether to add them. 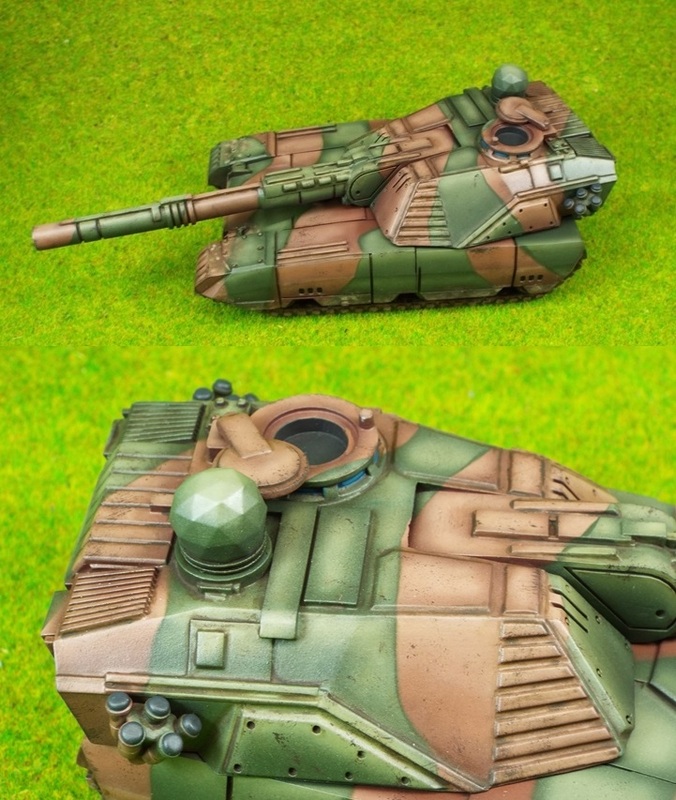 The standardbearers in the command sets are supplied with both a (bare) flagpole and a draco. 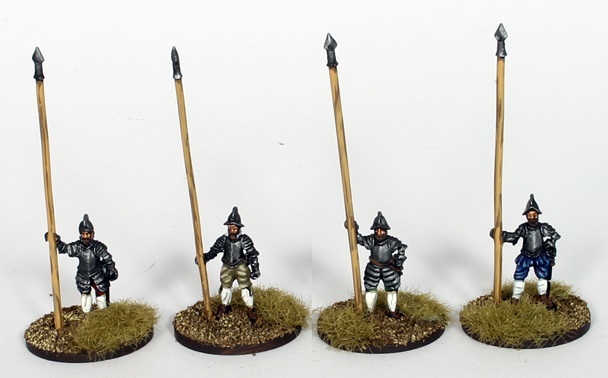 We are very happy to release the first codes in our 15mm Hundred Years War/Late Fourteenth Century range, two sets of English longbowmen. 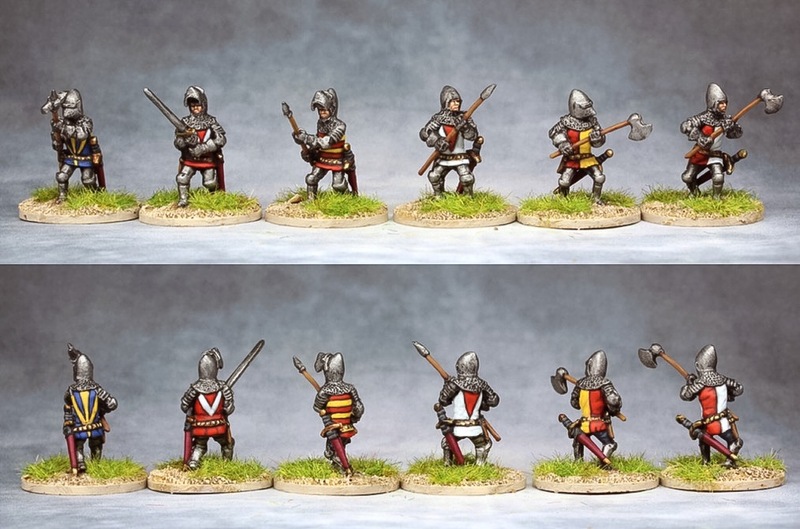 One set is wearing aketons (or gambesons if you prefer) with the other set adding leg harness and chainmail hauberks. 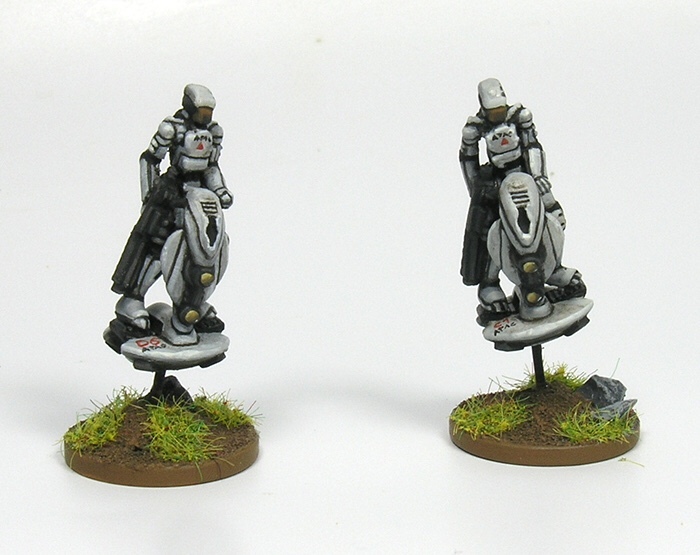 Each figurine is provided with its own separate arrow bunch stuck into the ground. The core period of the range is 1350-1400, when bascinets reigned supreme. 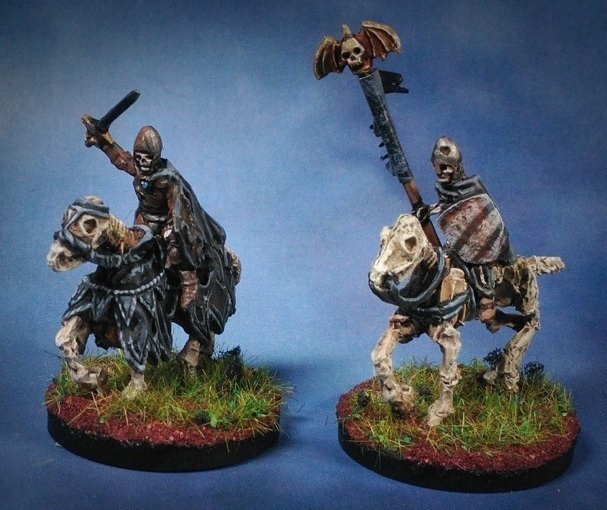 A bit into the period (there's some disagreement as to exactly when) the extended visor called the hounskull was adopted, one of the most distinctive and menacing looks ever used by knights. 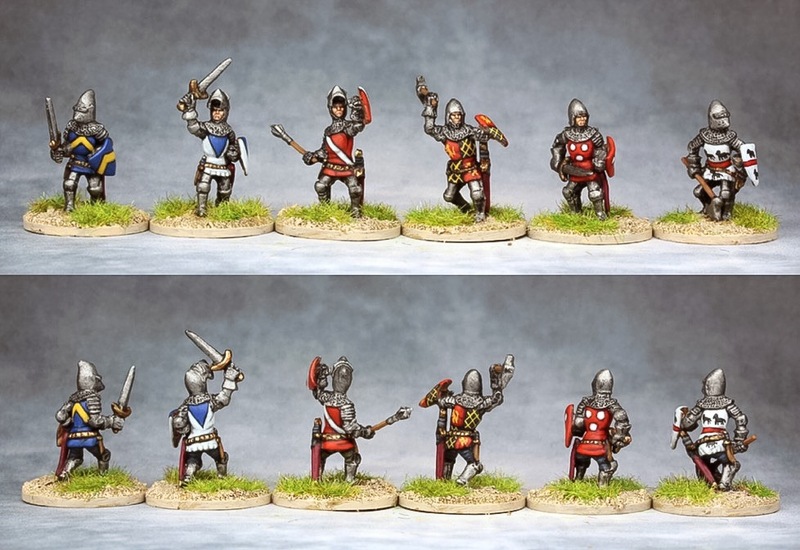 Of course the range will focus on the Hundred Years War to start, and codes for knights in jupons and French infantry types are in production now as well, to be released soon. 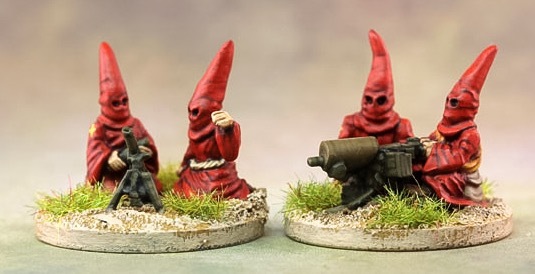 But other nations will be covered as well, and we are already making comprehensive lines of Spanish and Italians (these will be combined due to the close resemblance between many of their troop types). 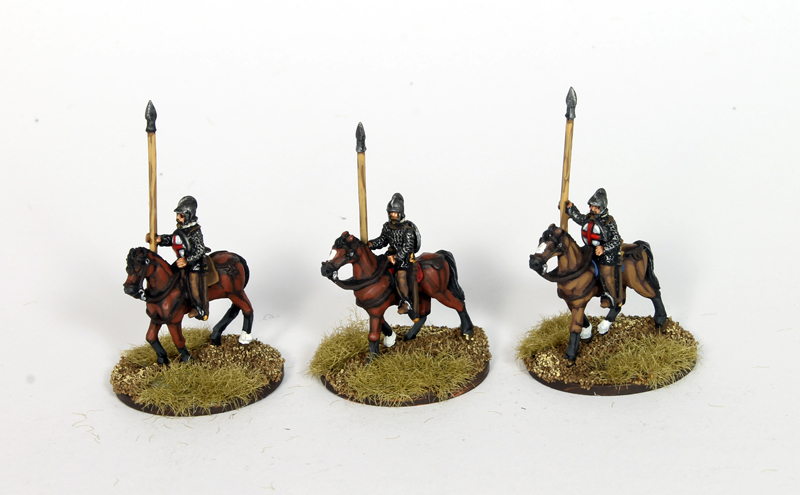 Look for foot knights and French infantry next, including crossbows, pavisiers and peasants. Please note these are larger 15s like Testudo and many other more modern ranges. 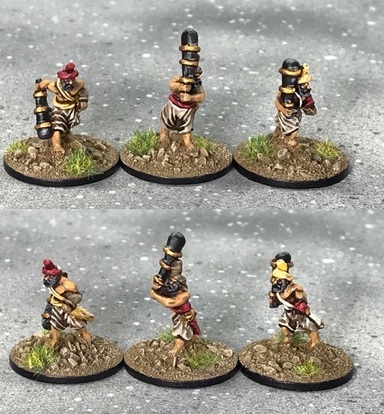 We have released five new skeleton codes for our 15mm undead range, and two new codes for our new range of fantasy ne-er-do-wells. 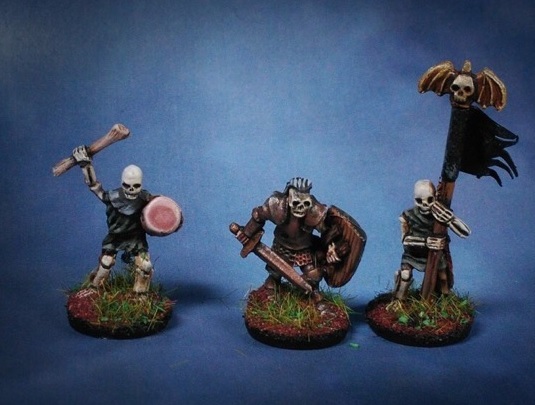 These considerably flesh out our existing undead range, pardon the expression. 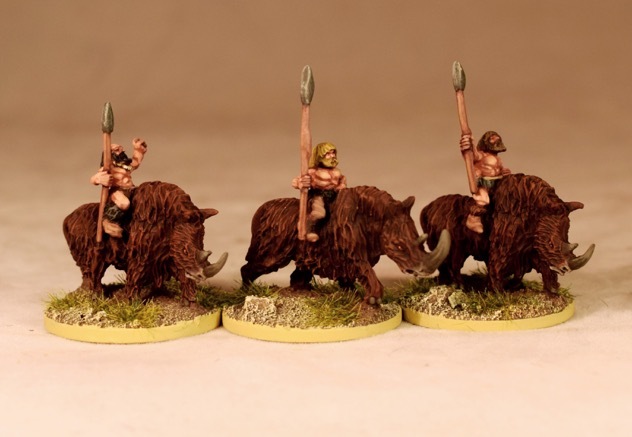 We are very pleased to release two new codes for our very popular Caveman fantasy range -- Rhino Riders and Headhunters. The Rhino Riders are fairly self explanatory, and are provided with wooly rhinos to bowl over the enemy -- the perfect prehistoric "knights." 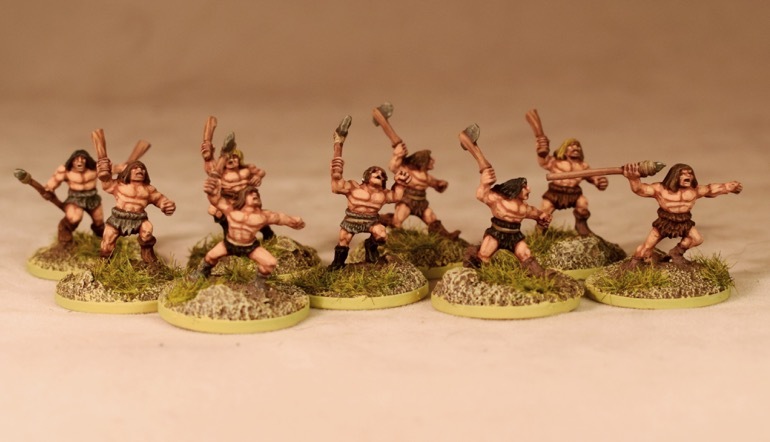 The headhunters are unmarried adult males who are not permitted to marry or grow a beard until they have taken a head in battle -- their keenness to kill makes them impetuous adversaries. 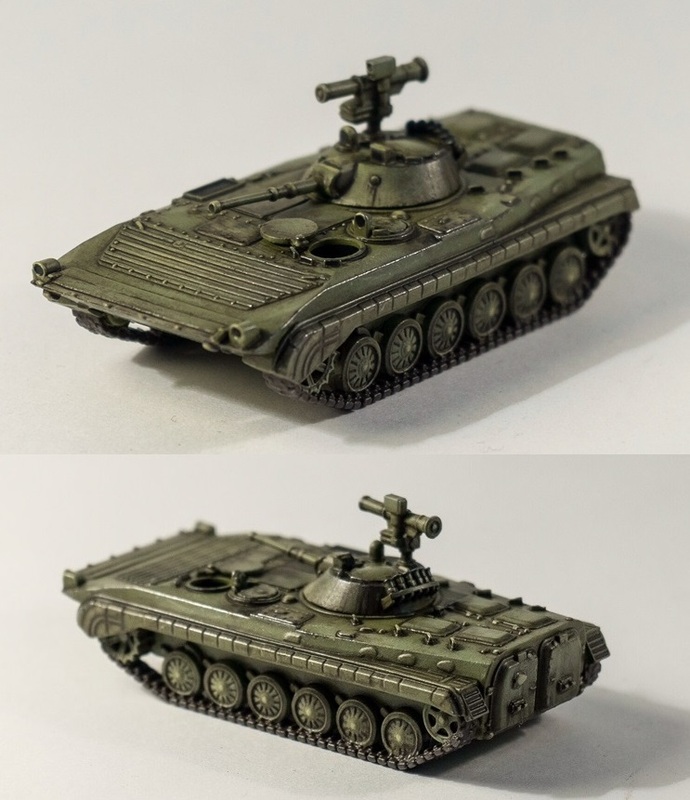 We are very pleased to release our latest 15mm Soviet/Russian vehicle of the Cold War to Modern period, the BMP-1P. After its trial by fire in the Yom Kippur War, the BMP-1 was found to have room for improvement, and one key issue was the mounting of the ATGM launcher above the main cannon. This was remedied on the BMP-1P, which has a pintle mounted ATGM launching tube. Thousands of these remain in service around the world today. 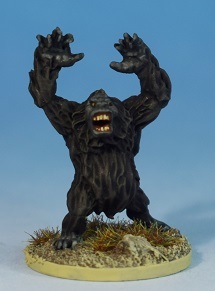 That is a lovely looking sculpt, the depth of detail looks favourable compared to the Battlefront plastic kit. Although I wonder if they realise the open cupola leaves them open to cavemen attack?? That was their fatal mistake! 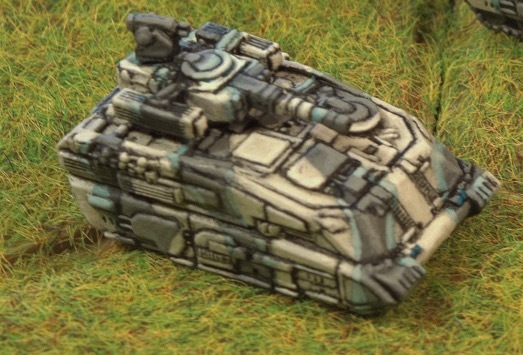 We've just released some more 6mm sci fi, the first codes for the 6mm versions of our popular Federal Army vehicles. 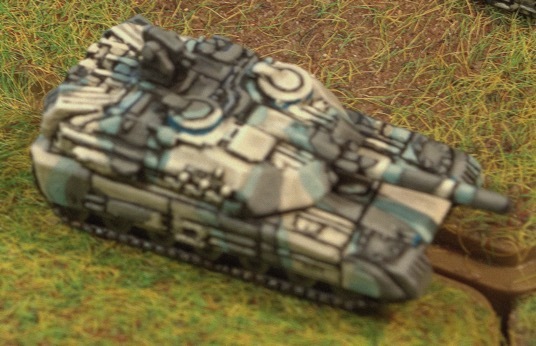 These are a tank and an APC, each available in both tracked and anti-grav versions. 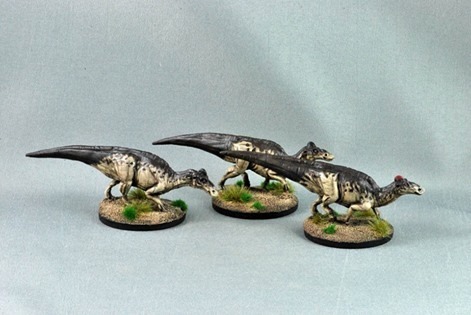 We've neglected the 15mm Little Carinthia Eldritch Horror range too long, but help is on the way -- the Papal Purgator Battalions have arrived. These include conventional weapons to strip away the damned human followers of the dark powers -- rifles as well as heavier weapons -- but the real demon fighting power is provided by the Exorcists, wielding the Flame of the Sacred Heart. To use the Flame, those fearless souls have to approach the demon ... eye to eye. The Purgators all wear the pointed hood of the penitent -- this prevents demons from seeing their faces and thus stealing their souls. 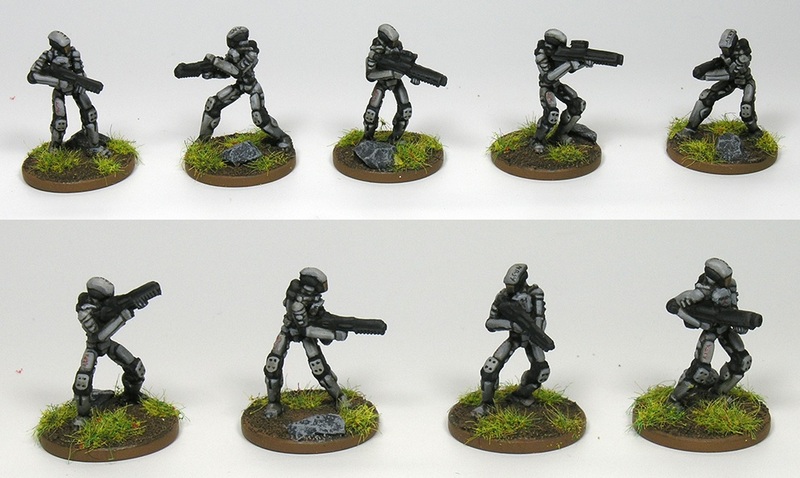 We are very pleased to release our latest 15mm Sci fi miniatures, the Federal Army Experimental Battalion (ExBat). These are very high tech forces experimentally deployed at battalion level, very advanced grav vehicles and infantry "drone" (actually robotic) infantry. Limited numbers of super-elite special forces termed "Treaty Troops" also operate with the ExBats. There's a complete background write-up for these forces on the web page as well. The drones are very nice, I like those. Very nice! The peasants would also make good bandits (as could the knights...). 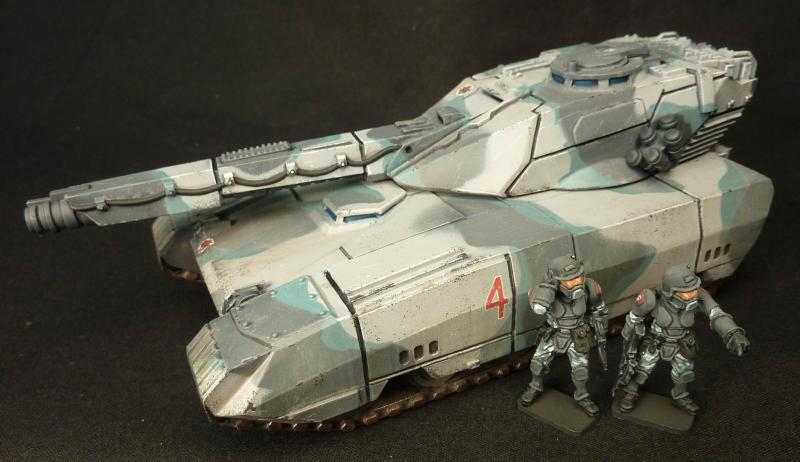 Its good to see someone finally match the quality of the old corvus belli HYW line! We are very pleased to release our latest 15mm modern combat range, for the Vietnam War, 1965-1973. The range focuses on US involvement in the ground war, and its release coincides with the premiere in the US of Ken Burn's latest documentary this Sunday, September 17, as well as the recent book by Mark Bowden on the Battle of Hue. The first codes in the range are a US infantry squad with M16s without body armour, a pair of M60 gunners, and an NVA squad. 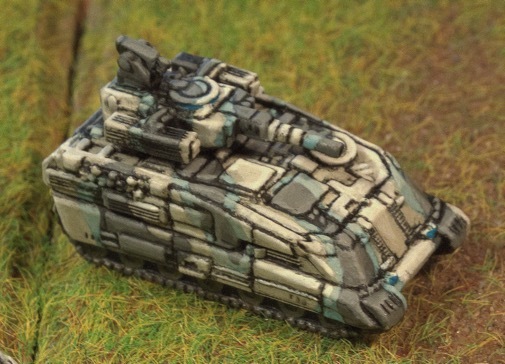 We also have an M113 model that is part of the range as well. 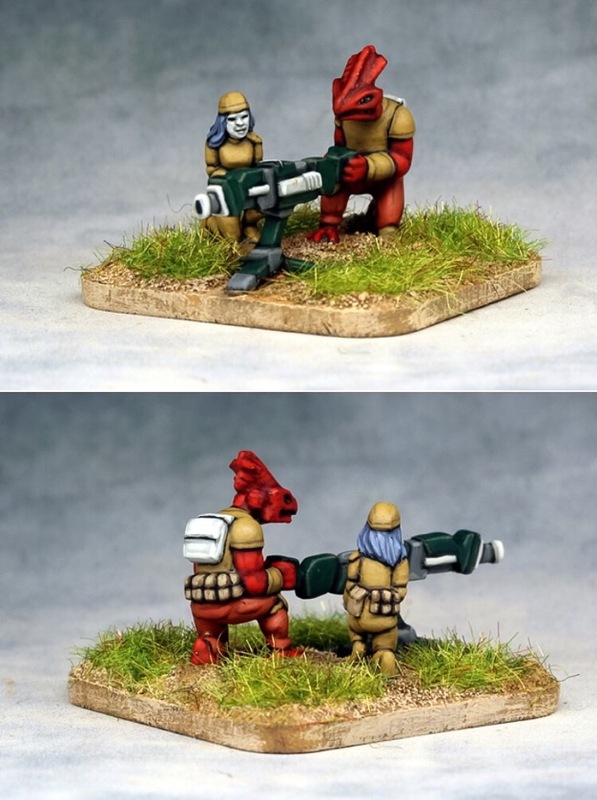 Each figurine in the squad is a unique sculpt. 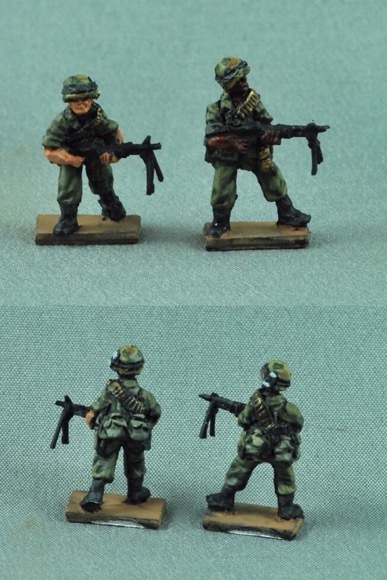 The US figures come with separate packs, one per figurine, and the M60s, and the RPD in the NVA squad, come with a bipod if you wish to use it. 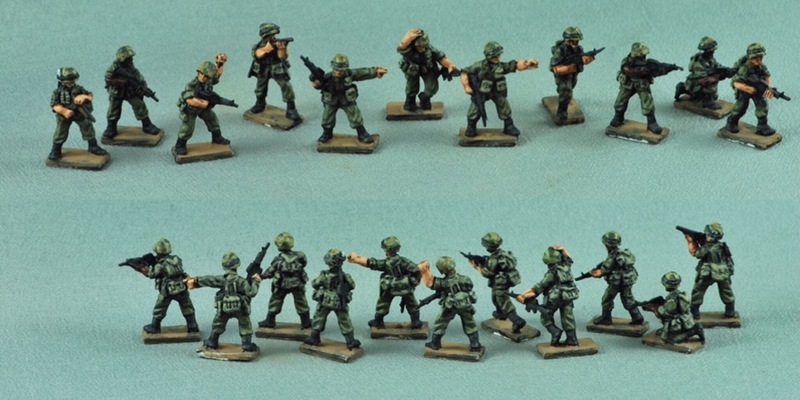 The range will be greatly expanded, and the second codes -- a squad with M16s in M69 armour, and a Viet Cong Main Force squad, are being sculpted now. 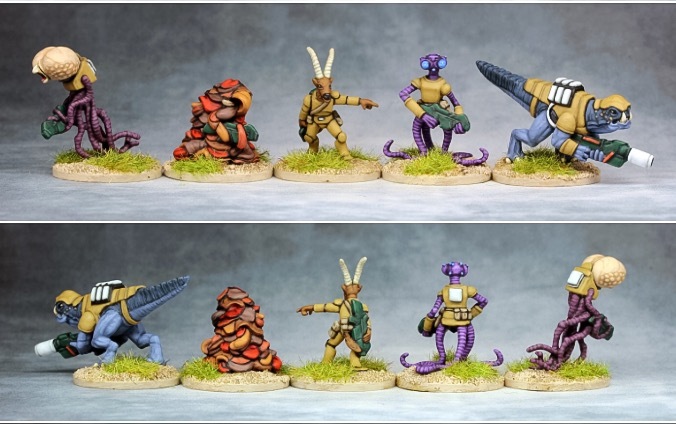 Our alien foreign legion range, the JTFB, has just been expanded with a fifth fire team and a portable heavy anti-matter cannon. Each alien trooper in the range is a unique species, but they have uniform weapons and armour to tie them together. 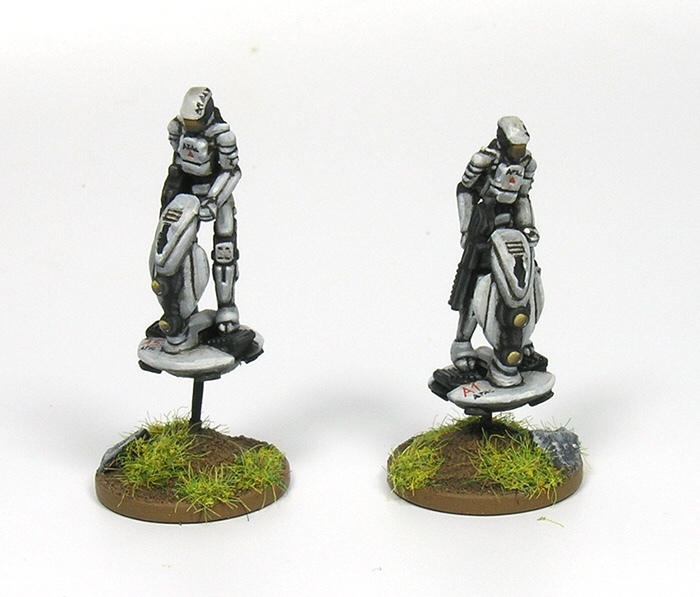 The platoon set that is sold has been expanded as well to add one each of the two new sets. Available now. 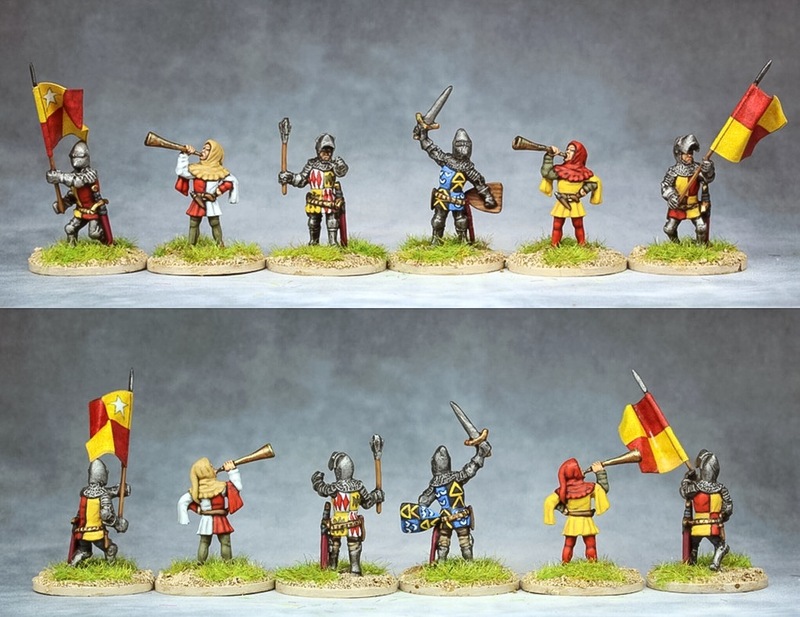 We're pleased to release a complete range of 15mm West Sudanese, representing the great empires in the western part of immediately sub-Saharan Africa in the medieval and renaissance periods. These included the Mali, Gao, Songhai, Bornu and Kanem Empires, and fought each other, tribes to the south, the Arab powers on the other side of the Sahara, and eventually the Europeans during the age of exploration. This was a time when "Timbuktu" was a great city in the Mali Empire, and not a synonym for "the end of the world!" Too large a range to fully preview, so head over to the store page to check it out. 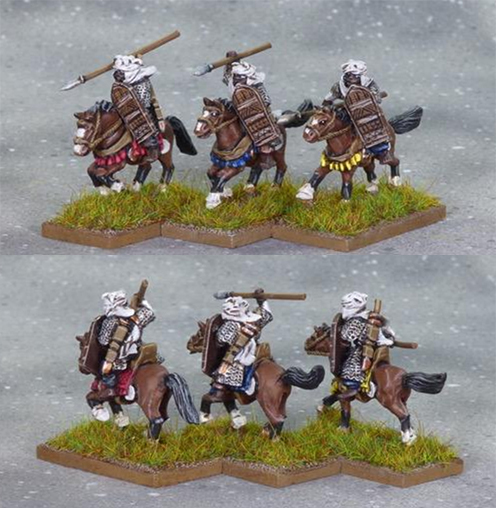 We have just released two sets of 6mm Infantry, for the Federal Army. 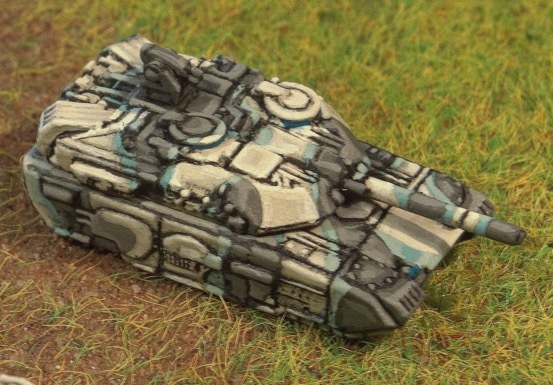 They are in carapace armour and join the four armoured vehicles already available. We are very pleased to release our latest code for the Kushan and early medieval Indian range, Indian clubmen. These were an elite and fought with huge two handed clubs with metal rings. They are useful for the armies of the Kushan Empire, as well as the native Indian and Tamil dynasties of the same period. Available now. 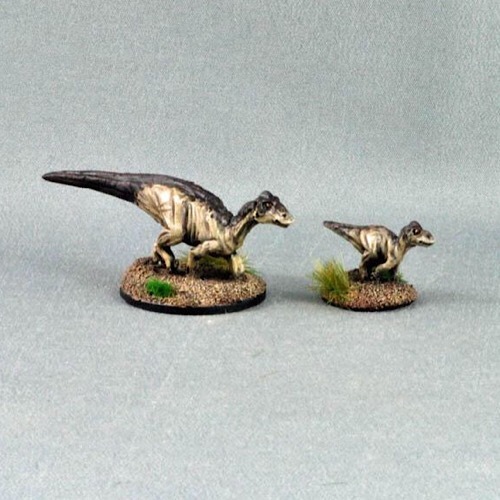 We are pleased to release two new sets of dinosaurs for our 15mm prehistoric animals range -- Edmontosaurus juveniles and adults. There are three poses of adults (and these were very large animals indeed) and two poses of juveniles -- a larger chick and a sub-adult. Juveniles were made to add variety, to require protection from the herd, and as an objective for predators. This was the dinosaur once called "Trachodon" and later "Anatotitan," and well-known to kids as "duck-billed dinosaurs." They are depicted with the fleshy comb on top of their heads, as was suggested by a recent fossil find. Not everyone is certain the comb in the fossil is correct, and some gamers may prefer the more traditional look without it, so it's easy to snip it off with wire cutters and then file down. 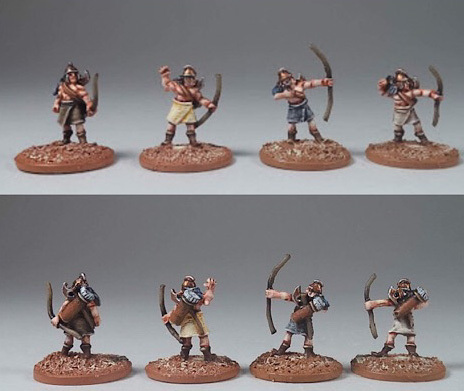 Is it wrong of me to use your 15mm chubby chinese as the perfect 28mm halfling for kings of war?